Boys… (or girls) If your lady is looking for something different for valentines day and you want to pick up something to put a little spring in her step, try a few of these gifts! Not your typical box of Chocolates.. 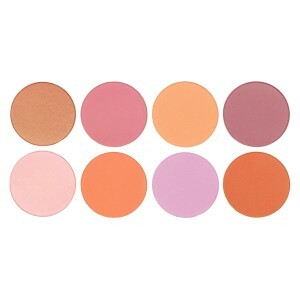 These can be ordered on-line and are beautifully pigmented, and easily blend-able range of blushes. Perfect for any look on any day all throughout the year. What girl doesn’t love a little Cartier? I know we can’t all afford Cartier jewelry, but you can definitely still score some major points for this. A rollerball and at home perfume bottle in a soft rose sent, can’t really go wrong can ya?! Love each other, do something simple just to show you care. Make the someone special in your life a nice dinner and block off some cell phone/electronic free time for each other. Another great idea from the Creative Fox Den… have a Valentines day picnic in your living room. Make your own personal slice of heaven. If you’re single: BUY YOURSELF ALL THE THINGS BECAUSE YOU DON’T NEED NO MAN! Thanks for the link! 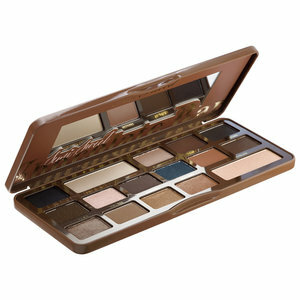 Also, I really want that eyeshadow palette. Let’s be honest, who doesn’t want their face to smell like chocolate?